This summer, the Lumos Travel Award celebrated its 5th anniversary, and with six travelers going all over the world, the program has funded experiences for 32 participants in more than 15 countries. Designed by the students, Lumos empowers travelers to explore, engage and immerse themselves in local communities to deepen their understanding of an issue, project or idea that impassions them. Seeking to define travelers’ world views and engage them as global citizens, the grant supports projects that allow participants to travel for a minimum of eight weeks. Since her arrival in Kenya, Johnson has been studying the psychosocial support provided by WISER staff and will end with a research project comparing outcomes between students at local schools. Johnson said she first learned about Lumos when she was a freshman and immediately knew the experience was for her. Committed to spending extended time working at an all-girls school in Africa, Johnson was drawn to WISER’s model for education and created her proposal. On June 16, Johnson arrived in Muhuru Bay – and so began her 5 months as a Lumos Traveler. Belmont alumna and Board of Trust Member Cynthia Leu created the Travel Award to provide a working gap year experience for Belmont students and recent graduates. After spending several years abroad herself, Leu said she was interested in facilitating a meaningful opportunity for students. By developing individualized travel proposals that directly impact a global community, students are able to learn through immersion, rather than simply by a book. Mt. Zion Orphanage School, because it combined her interest in Africa with her love of working with children. While there, Selden organized summer school and was asked to teach English, natural and computer science. For Selden, the opportunity to live and work in Ghana was life-changing – particularly around building global perspective and a deep cultural appreciation. Selden would agree. 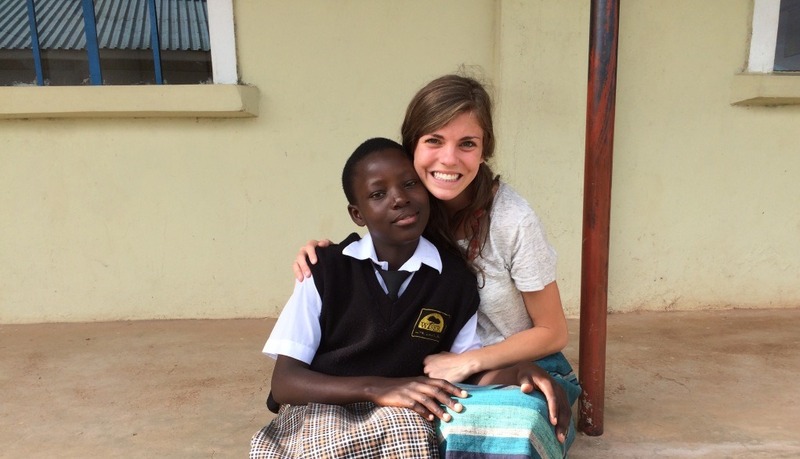 Though her fondest memories of Ghana include climbing waterfalls in the Volta region, watching a soccer match between Ghana and Sudan’s national teams and visiting historical sites in Cape Coast, building relationships with her students and fellow volunteers tops out her list. On the blog where Selden updated her family and friends back home while traveling, a requirement of receiving Lumos funds, she described her days at Mt. Zion and the lessons she learned. A few weeks into her trip, Selden’s relationships were strengthening and the children she worked with became more accustomed and welcoming to her presence. For more information on Lumos awards and the application process, visit the website.